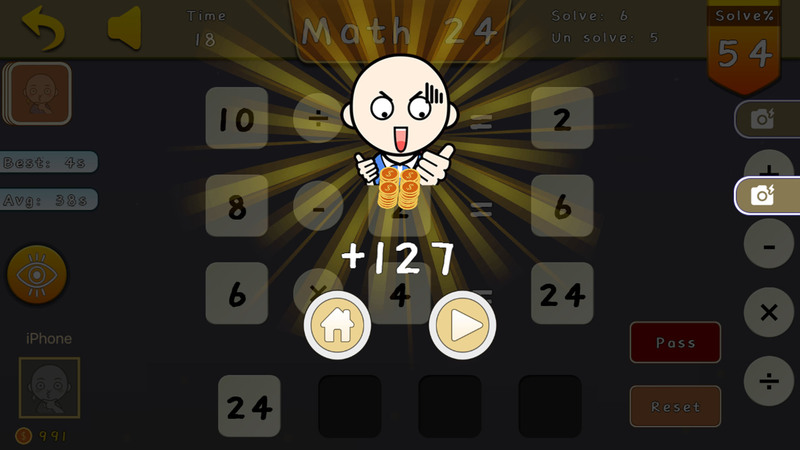 Math 24 - A math and child game APP, exercise your arithmetic, easy to learn, brain puzzle! 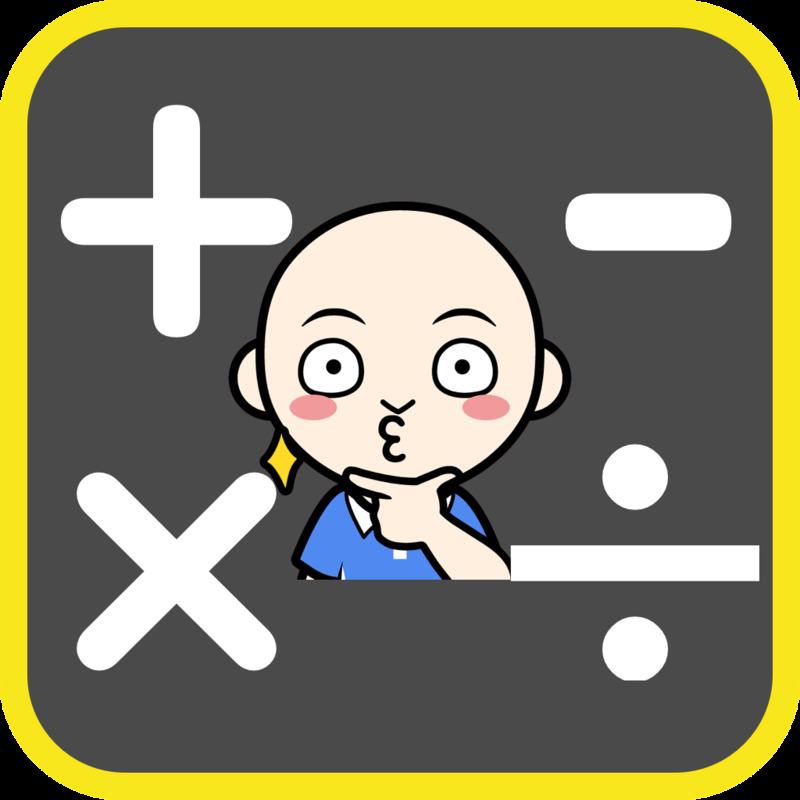 A math and child game APP, exercise your arithmetic, easy to learn, brain puzzle! 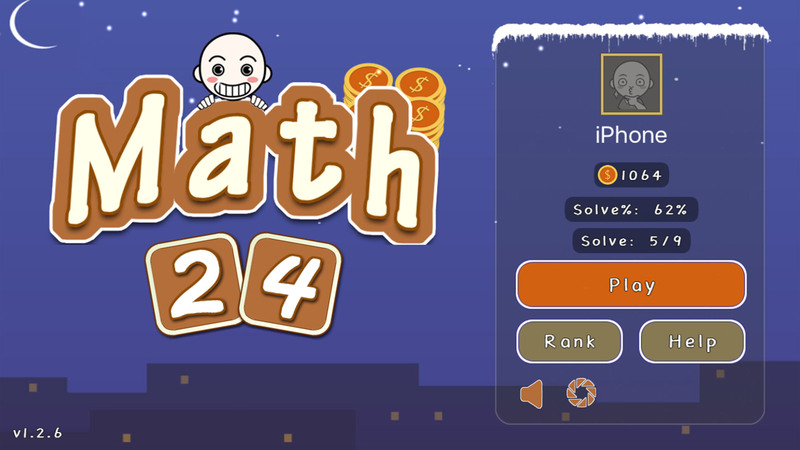 Use the fastest speed to calculate 24 by +, -, ×, ÷, challenge the brain speed, beyond the limits of mathematics! 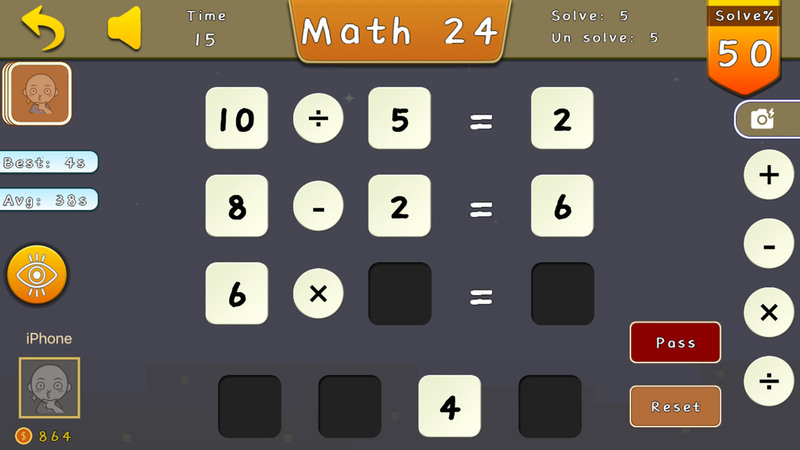 Answer button to help you quickly improve the speed calculation skills, there is always solution to the problem, and find out! To practice and get happy, all-round to enhance the computing power, learning from game, happy to grow! Rich leaderboard, there is always promotion ranking,only not practicing , come to be a problem-solved hero!